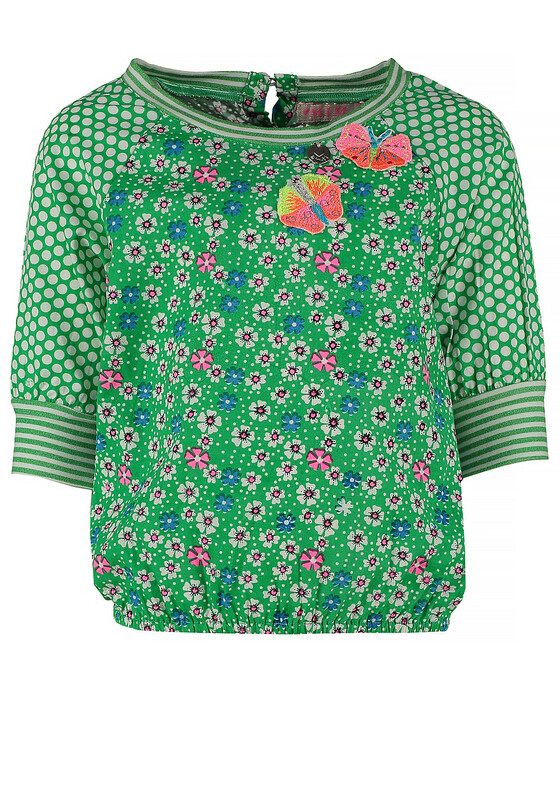 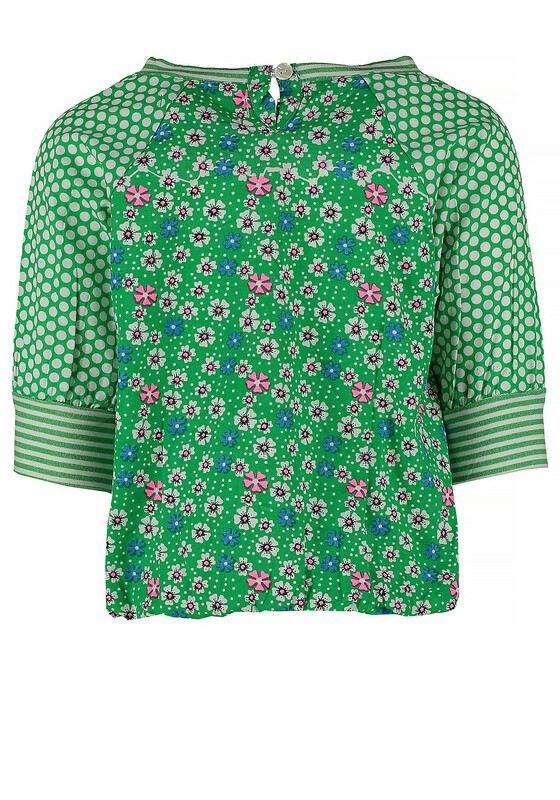 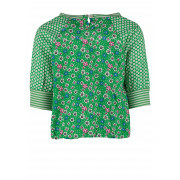 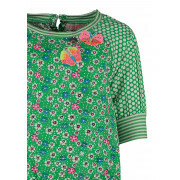 A stylish update to the classic wardrobe staple, Mim-Pi presents this stunning cotton cropped sleeve top in gorgeous green. 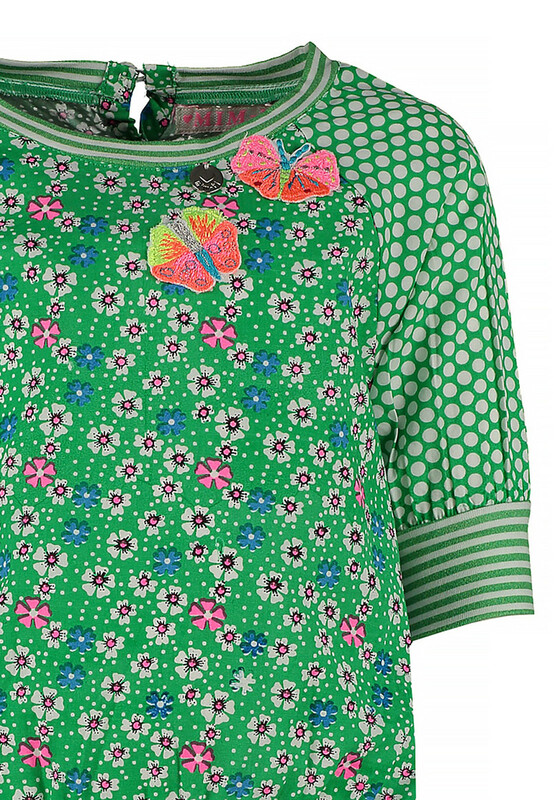 It features a dot print on the sleeves with striped elasticated detailing on the sleeves cuffs and neckline and has a funky flower print on the body with beautiful embroidered flowers. 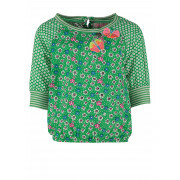 It is complete with a comfortable elasticated trim and will look gorgeous with a skirt or little denims.